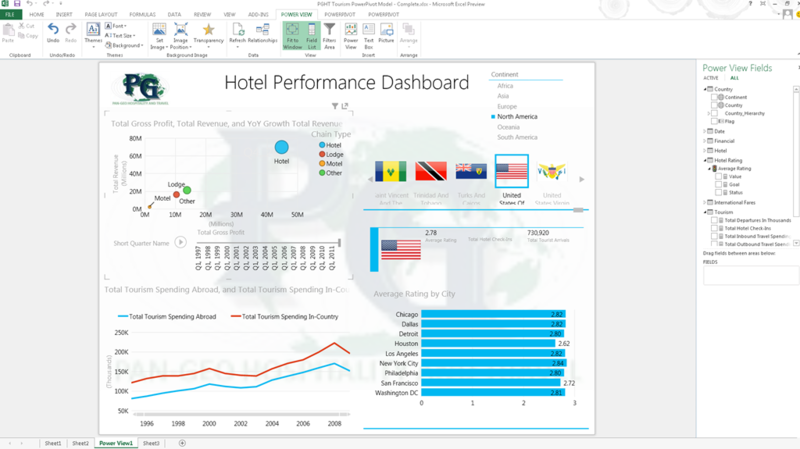 One of the items that I have been patiently waiting to talk about and demonstrate is the new Power View and not only the new enhancements to it, but that it also is available in Excel 2013! 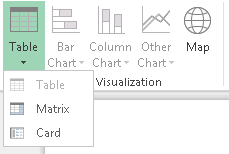 With Excel 2013 the PowerPivot and Power View COM add-ins are provided with the installation, you simply need to enable them in the Options->Add-Ins section. 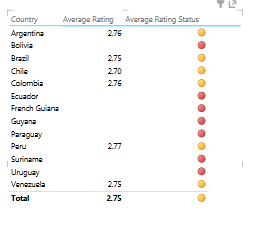 Before I dive into the new Power View let me show a quick screenshot of one of the Power View reports from our Visualizing Data with Microsoft Power View book. A couple of things I want you to take a look at primarily is the field list. 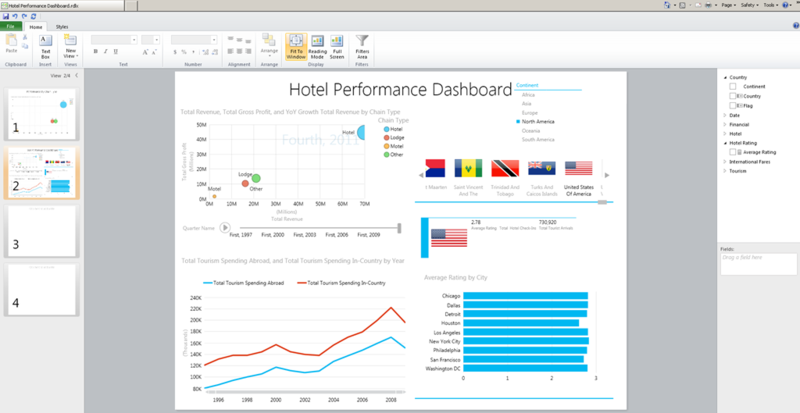 Also you will be able to compare this look to the enhanced one that I will now show off in Excel 2013. 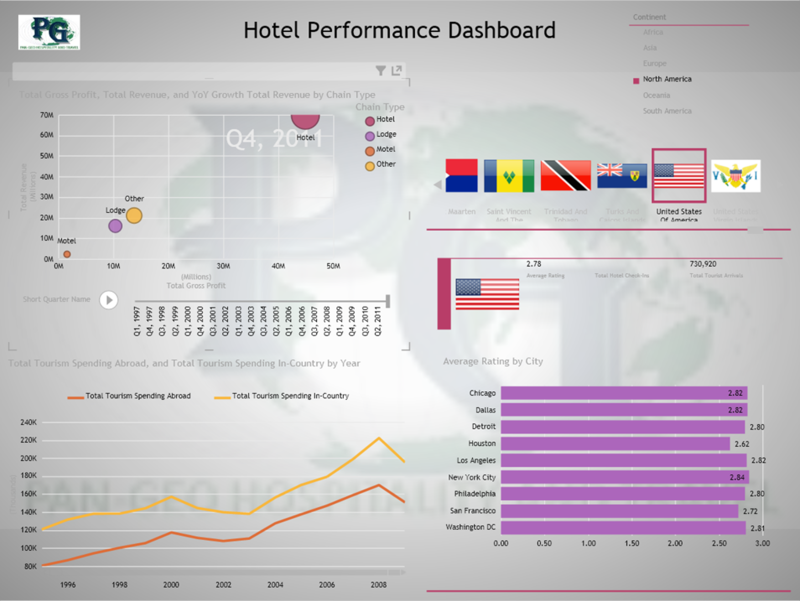 To create my Excel 2013 I decided I would go against a complete Excel solution, so I created a complete Pan-Geo Hospitality & Travel PowerPivot Model. I did this first in Excel 2010 and then upgraded this in Excel 2013 by accessing the Model in the PowerPivot Ribbon in Excel 2013 (you will notice that in this screenshot you will see two PowerPivot tabs and that is because I have both versions of Office running along with the add-ins (PowerPivot for Excel from SQL 2012 and now the one for Microsoft Office PowerPivot for Excel 2013). 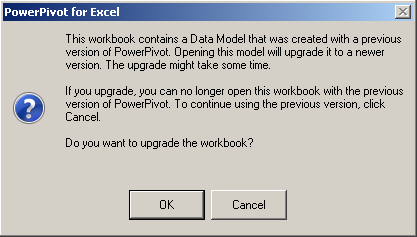 When I opened up my Excel 2010 file with the PowerPivot model in Excel 2013 (which I also enabled the PowerPivot add-in) I then went to the 2nd PowerPivot tab in the Ribbon and clicked the Manage button in the Data Model section. So just to reiterate the situation and give you an option to cancel. Once I had the model converted over I used the new option in the Insert tab of the Ribbon for Power View (right in the middle in the Reports section)! If you click on this and you do not have the add-in enabled you will be prompted and you can enable it then. This creates a new worksheet in the workbook and then you can start building out your report, just like you can do with the current version of Power View, but this time you are doing it in Excel and not in your web browser as part of the Reporting Services 2012 integration with SharePoint 2010. Did you see anything new on the report? No, not the fact that I changed the Play Axis in the scatter chart or the data labels being added in the bar chart. Look closer….okay, so you did see it, there are images included in the report and they are not part of the model definition! The first one that I will point out is in the top left hand portion of the report and the new option I used here is the Picture option in the Insert section. You can include Image files now so you can include the company logo as a report header (jpg, jpeg, and png files). The other image you see is in the background of the report and for this I used the Set Image option in the Background Image section. Here you can select the same type of image files as the picture and then you can specify the position option as Fit, Stretch, Tile, or Center. Along with that you can specify the transparency level and here I have it set to 90%. Well you can do more formatting. 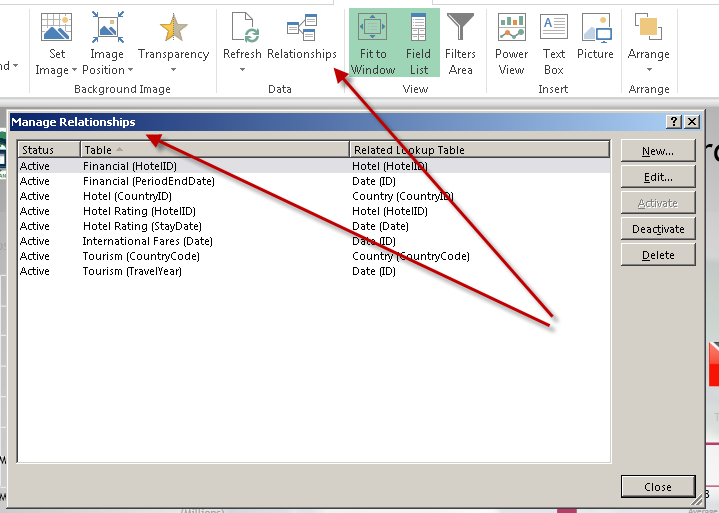 If you recall in the existing Power View we have Styles – Using Styles in Microsoft Power View. In the new version here we can really tweak the report setup using the Themes section. Another interesting item you can do here in Power View is in the Data section of the Ribbon. You can actually review and modify relationships. Let’s quick go back to the second screenshot above and take a look at the Field List. Notice something different here? What are those Globes and Spotlights doing in the list? Yep, you guessed it, Power View now provides geo-coding capabilities to use with the new Map visualization, plus it also supports Key Performance Indicators (KPIs)! In addition to the new Map visualization, the Pie chart has also been made available. 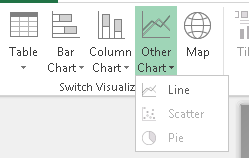 You can even include Pie charts in Maps (just a bit of a warning here, currently the Pie charts do not support data labels, similar to PerformancePoint Analytical Chart reports). 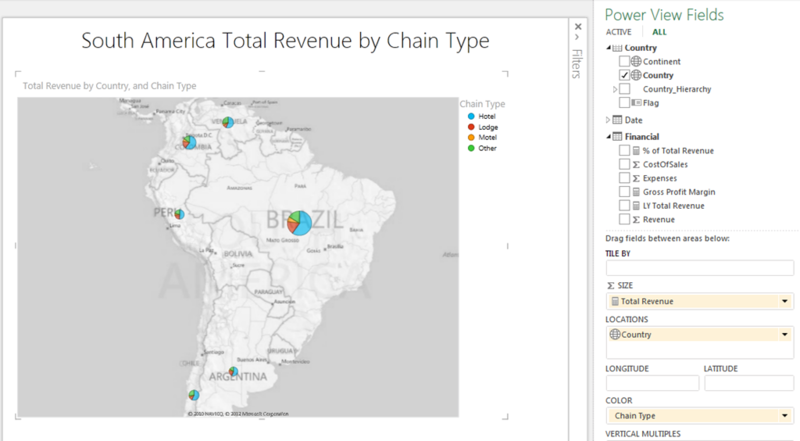 The mapping capability uses Bing Maps just like SSRS does for some of its mapping that was introduced in SQL Server 2008 R2. You can see in the Field Well that there are new spots for Locations, Longitude, and Latitude. If you are looking for the Card visualization it is now under the Table. Now what about those KPIs, how do those look? Well, looks like we still need some work here, but it is a start. The indicators it is using are not correct. I would like to see a more condensed view and options here to provide the detail information about the KPIs, but at least we can include them now. Now there are more new items and capabilities that I haven’t even touched on yet, so stay tune for another post next week. Enjoy and kudos to all of the Microsoft teams that were involved to make all of this happen!